It’s Mosaic Monday, Is It Spring Yet? I am seeing more signs that it might be on its way. Take a look at these pictures from my garden and neighbor gardens. 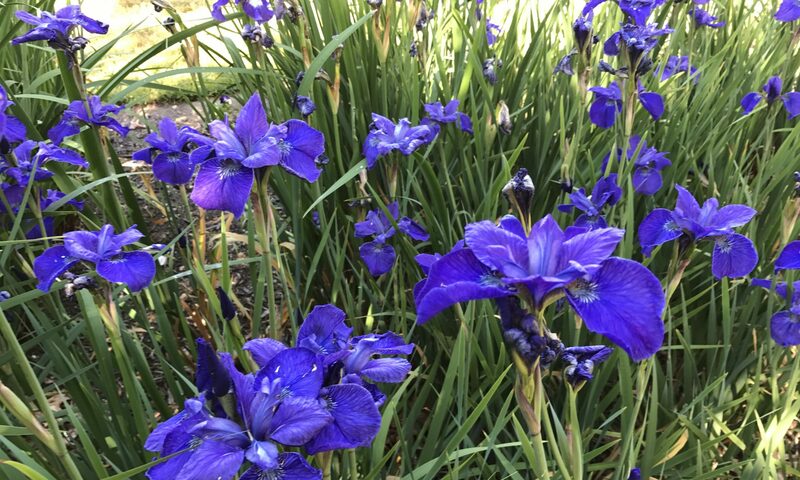 In my neighborhood, one of my neighbors had early blue irises. Another neighbor had these delicate Lavender crocuses blooming. In an empty field, Indian plum was blooming. 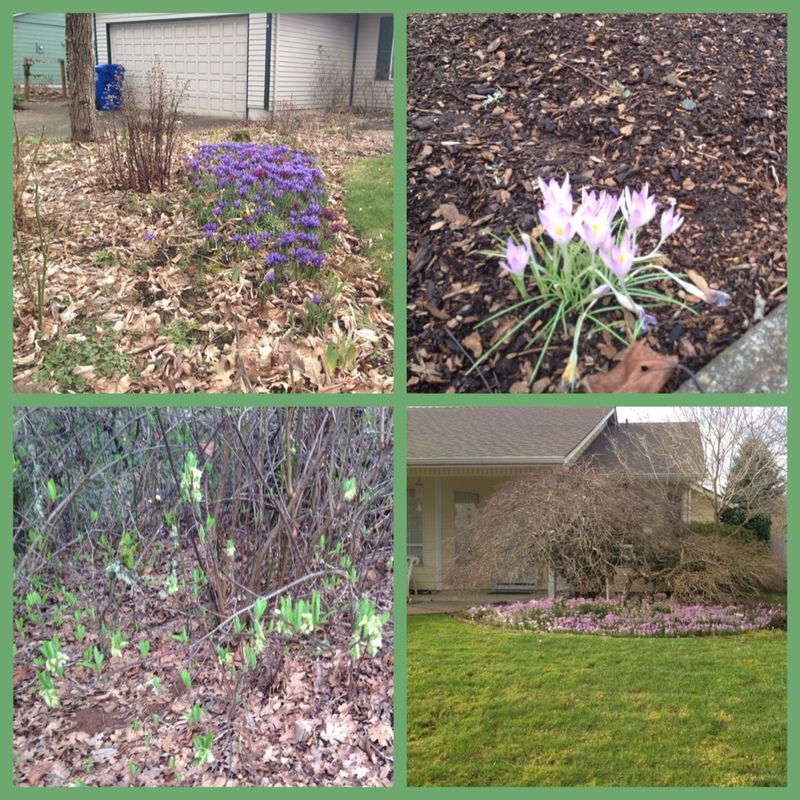 At yet another neighbors house, the whole patch of crocuses are blooming. In the second mosaic, one of my purple hellebores is blooming. A dandelion is blooming in my yard. My Tet a Tet daffodils are blooming. But spring isn’t here yet. 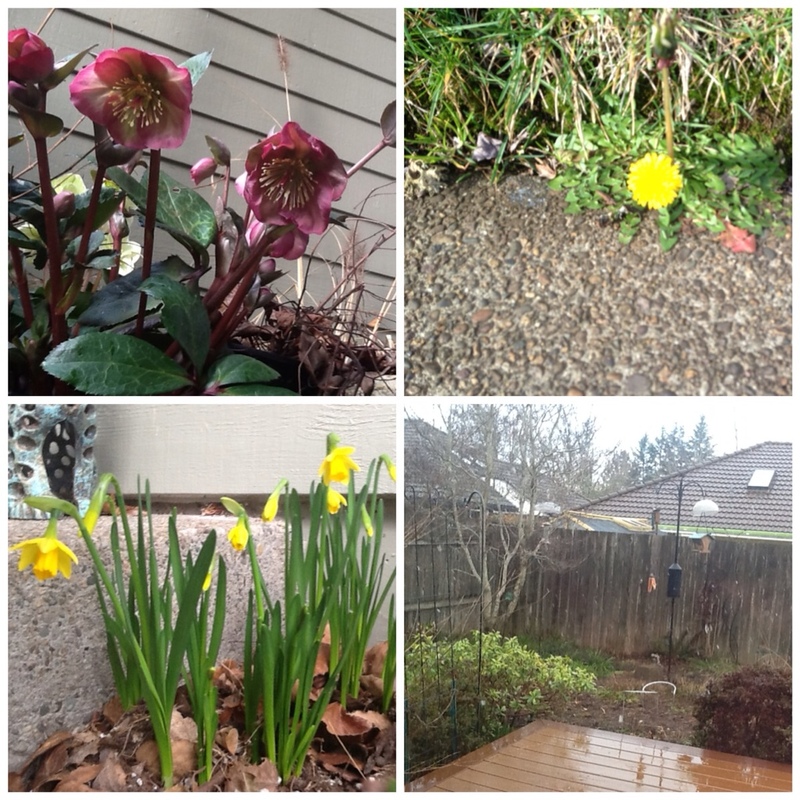 Yesterday and today we had a cold rain, interspersed with sleet and snow. The flecks of snow almost show up on the photo. Well, that’s about it for Mosaic Monday. I home my next one will have more springish photos. Thanks to Mary at Dear Little Red House for hostessing Mosaic Monday.